U.S. stocks struggled for direction on Tuesday after rallying strongly last week, as investors focused on the latest round of trade talks between the United States and China. Hopes that the two countries will hammer out a deal to end their protracted trade war had helped the S&P 500 and the Nasdaq log their best week in a month on Friday. 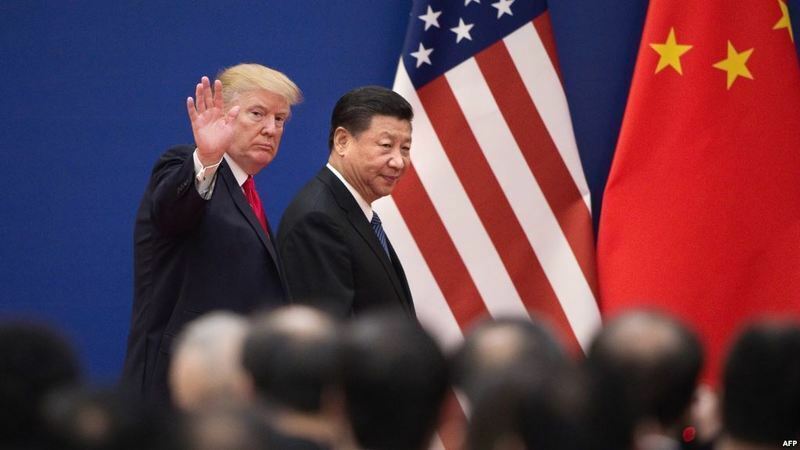 The talks in Washington follow a round of negotiations that ended in Beijing last week without a deal but which officials said had generated progress on contentious issues between the world’s two largest economies. “We had a fairly good rally on Friday and there is a hint of profit-taking before the resumption of the trade talks,” said Peter Cardillo, chief market economist at Spartan Capital Securities in New York. The tariff-vulnerable industrials sector dropped 0.29 percent, with bellwether Boeing Co down 0.4 percent. The consumer staples sector rose 0.40 percent, the most among the 11 major S&P sectors, helped by a 3.8 percent rise in shares of Walmart Inc.
Shares of fellow retailer Target Corp gained 0.7 percent, while Costco Wholesale Corp rose 1.1 percent. Walmart’s results follow a shockingly weak Commerce Department report last week that showed U.S. retail sales recorded their biggest drop in more than nine years for December, stoking fears of an economic slowdown. At 9:49 a.m. ET the Dow Jones Industrial Average was down 10.64 points, or 0.04 percent, at 25,872.61, the S&P 500 was down 1.84 points, or 0.07 percent, at 2,773.76 and the Nasdaq Composite was down 0.30 points, or 0.00 percent, at 7,472.11. Seven of the 11 major S&P sectors were lower, led by a 0.54 percent drop in the financial index. Goldman Sachs Group Inc fell 1.2 percent and JPMorgan Chase & Co 0.95 percent, weighing on the Dow. Medtronic Plc rose 1.5 percent after the medical device maker beat analysts’ estimates for quarterly profit on higher sales in its surgical products unit and restorative therapies group. Mattel Inc shares slumped 5.4 percent, the most on the S&P, after the company issued a disappointing 2019 sales forecast and said demand for its iconic Barbie doll was slowing. With nearly 80 percent of S&P 500 companies having reported earnings so far, analysts now see a profit increase for the group of 16.2 percent for the fourth quarter, according to Refinitiv data. However, the current quarter does not look all that upbeat, with earnings expected to fall by 0.5 percent, their first year-on-year decline since mid-2016. Declining issues outnumbered advancers for a 1.07-to-1 ratio on the NYSE and for a 1.01-to-1 ratio on the Nasdaq. The S&P index recorded 13 new 52-week highs and no new lows, while the Nasdaq recorded 37 new highs and 12 new lows.